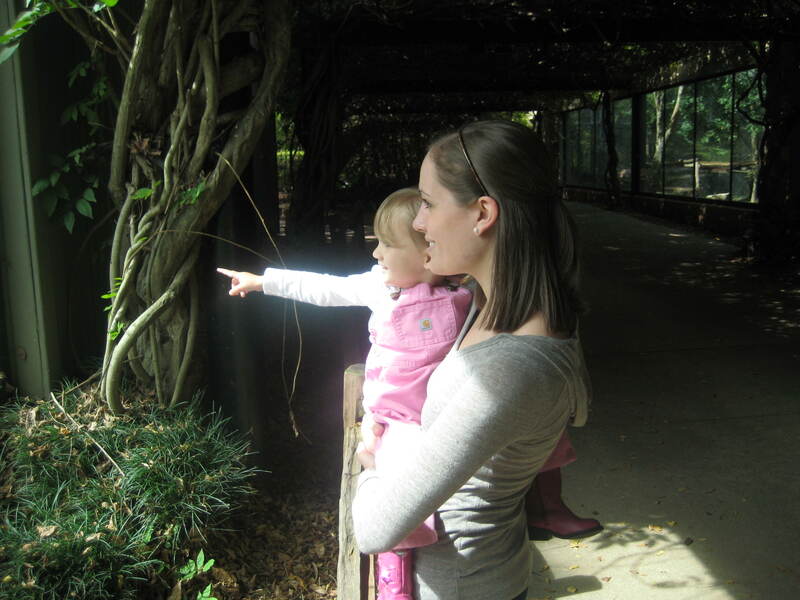 The South is Greek To Me | I'm a Colorado girl learning the ways of Alabama…. I'm a Colorado girl learning the ways of Alabama…. Friends, this has not been pretty. I would love to see the things that need changing in my heart and then orchestrate a much easier path for that to be accomplished. Isn’t it a grace that the Lord’s ways are not my ways? I would be far too easy on myself, expect too little, and ultimately fail in the work that needed to be done. This past month has been an unusually difficult time with E.
Praying that the Lord will help me walk faithfully in this time with Emma– trusting Him to cleanse me of my own sin in the process, and that He would one day bring her to salvation! 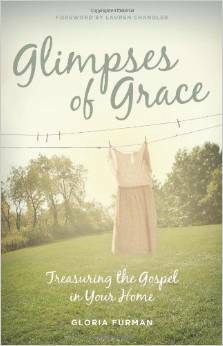 “Glimpses of Grace: Treasuring the Gospel in Your Home” by Gloria Furman. The Lord has been incredibly kind to provide timely words for this season of discipline/parenting and the different challenges that come with it. I love that Furman points us to Christ in nearly every page of this book. It is saturated with the Word of God, and I am thankful that is the basis by which she approaches her readers. This season has been a tempting time to complain… When Adam gets home from work, I fear the first things out of my mouth typically have to do with Emma’s behavior. Because the Lord IS faithful— faithful to work in the mundane of housework, faithful to give wisdom/patience/grace at all the moments our hearts are needing it, and so VERY faithful to complete the good work He has begun in us (Philippians 1:6). In addition to challenging moments in discipline (usually accompanied by painful reminders of my OWN need of Christ’s ongoing work in my life)– I have also seen my strong tendency to anxiety. Our Pastor here has recently been preaching through Philippians and dealt with this particular sin one morning. It was amazing to me how little I often view this as a sin against the Lord. I tend to use vocabulary that remove its heinousness: “concern”, “care”, etc… Avoiding the root issues in play. It is a clear command, “Do not be anxious about anything…” in Philippians 4:6- and this is something I am fervently asking the Lord to help me grow in! One of my favorite sections was over chapter 9. This was a time of Israel confessing both their sin and the Lord’s faithfulness in a prayer. It is the longest recorded prayer in the O.T and I really encourage you to read it. It expresses (beautifully, I might add) the marked contrast between man’s wickedness and the Lord’s goodness. There have been a lot of new changes, each one a sweet blessing from the Lord! 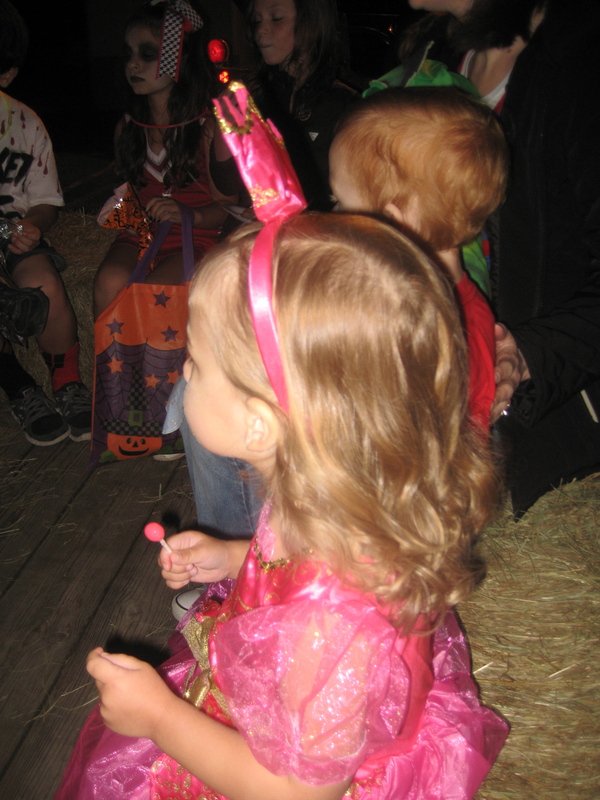 I will try my best to give a condensed look at our life since my December post. We have re-located for my husband’s new job (still in Alabama, just further South) and we have been abundantly grateful for the Lord’s work in bringing us here. Adam’s job has been a refreshing (and needed!) change for our family and we are so thankful! Along with his new job, we have been in the process of joining a new Church. Friends, can I just say how much I love the opportunity to gather with a faithful community of believers?! Adam and I are so thankful that the Lord brought us (quickly, I might add!) to our new Church home! This was something I prayed earnestly for, and the Lord has been gracious! We will also be adding a new addition to our little family this September… We are almost 5 months pregnant, and rejoicing in this kind gift from the Lord! 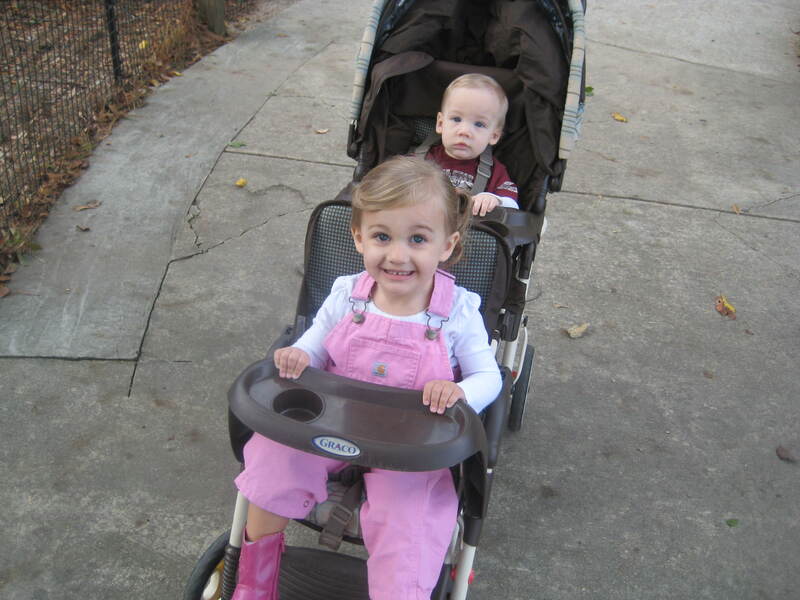 This was a fairly large surprise (finding out the week that we were moving!) but isn’t the Lord merciful to provide rest and assurance when you would expect a fretting heart? Three children under the age of 3 will certainly be busy, but we trust the Lord will provide the needed strength, grace, and patience for that season! The past few months have also marked a sweet time of fellowship with the Lord, along with a great deal of conviction in the way of my selfishness/anxiousness and general sinfulness. I am excited to share more about this in my next post- but for now, I’ll leave you with a few books that I have read/been reading recently– all of which I highly recommend. 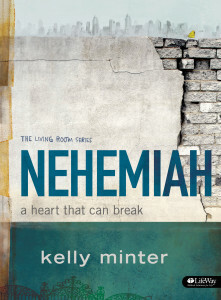 Nehemiah: A Heart That Can Break, Kelly Minter. This Bible Study is usually done in the format of a small group (along with a DVD) but I wanted something to go through while Adam and I were getting ready for the new transition of moving/finding a new Church, and this is what I chose. Can I just tell you how much I enjoyed it?! Kelly Minter is a gifted writer/teacher and this study was such a refreshing look at the account in Nehemiah. I knew little about this book (other than the fact that it dealt with the re-building of the wall in Jerusalem) and I was so thankful for an opportunity to dig deeper into Nehemiah’s life, the difficulties he/the Israelites faced in their 52 days of re-building, and life after the Israelites were back in their homes. This is probably the third or fourth book I have read by Tozer and it has quickly become one of my favorites. Our Pastor has been taking the Church through a study on this book during Wednesday night service, and I have greatly anticipated it each week! I cannot begin to convey the amount of humbling the Lord has been working out in my heart as I have read and studied through this book. 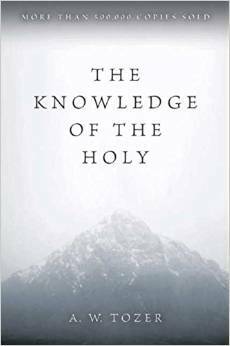 He deals with the divine attributes of the Lord and seeks to help his reader understand that “What comes into our minds when we think about God is the most important thing about us.” This means that we must be willing to study Scripture and ask the Holy Spirit to reveal any belief in our hearts that are contrary to His Word. One of my favorite things about reading this book has been the way Tozer contrasts God’s amazing character to man. As he talks about the immutability of God, he also talks about the nature of man to change. It has brought an even greater sense of worship to see the Lord- in all of His strength, wisdom, and infinitude- in light of man’s weakness, foolishness and finiteness. It has been a privilege to read this book, and I encourage you to pick up a copy. I’ll end on that note… With more to share, I look forward to posting again soon. It is cold and rainy outside and a week later on updating the blog than I had planned…. My little family has been battling the flu and bronchitis over the past couple of weeks (both of which came a little too close to our stomach bug fiasco than I would have liked). 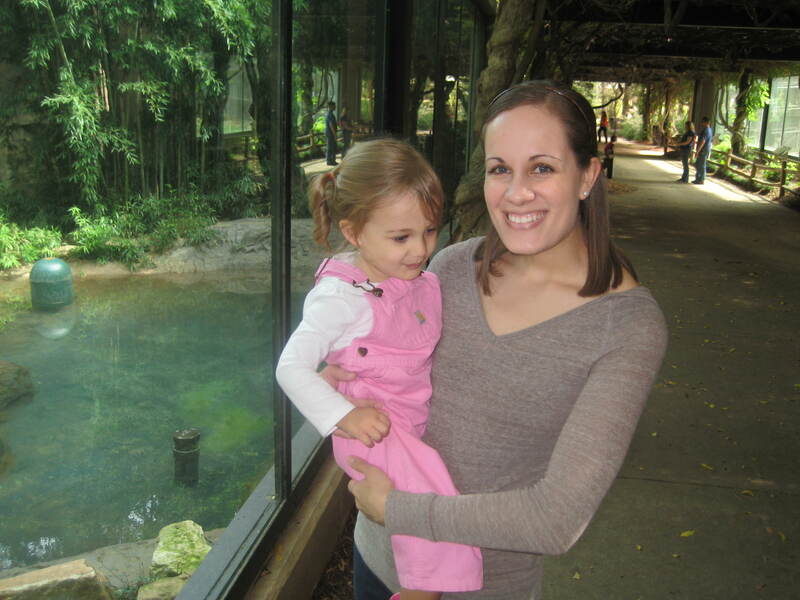 The onset of sickness began on our trip to Texas and made for a little (but only a little!) less enjoyable time with my parents. I’m thankful still for the sweet memories, the laughter, the movies, and all of the precious moments E and L had with my family. Only seeing my parents once or twice a year does make for a lot of rejoicing when we are together…sick or not! 🙂 And my little ones sure did soak up time with their Granddaddy and Granna. But our days are like this, are they not? Filled with many unplanned events…illness, car trouble, unexpected house maintenance, loss of a job, or even loss of a loved one. Our days are not our own and the Lord has every right to change and completely modify even our best and truest of efforts. These quotes came to mind, even as they would relate to the trivial nature of the flu and bronchitis. To all things… God be the glory! So thankful for this book and the way that Scott James brings you through the Old Testament prophecies leading up to the 1st coming of Christ. 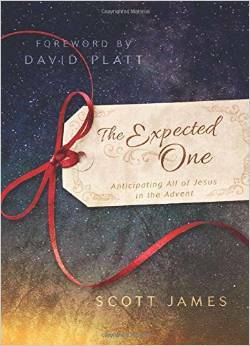 A great Advent resource to consider! I love Jane Austen. She was truly one of the most amazing authors of classic literature and that is evident by the millions of people that still treasure her novels today. My Mom knows this little fact about me and got me this book for Christmas. It is a sweet little gem that has been added to my library. 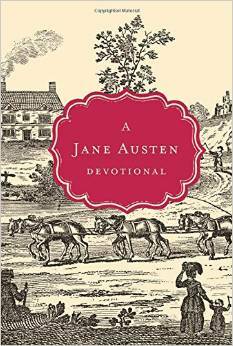 For any ladies that love Jane Austen— this book has taken pages of her novels and added a small biblical commentary (addressing positive/negative qualities of her characters or themes) and bringing them to light with Scripture. Love. It. 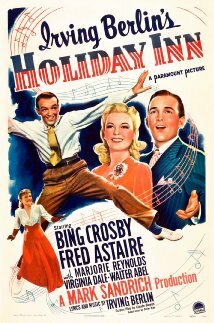 An all time favorite… Loved having the opportunity to watch this with my family in Texas. 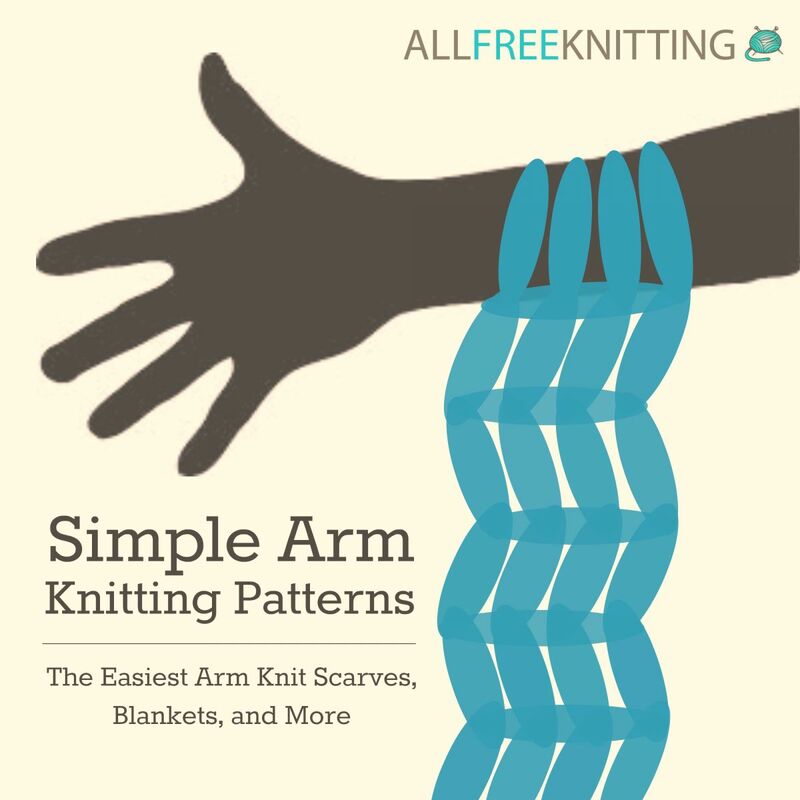 6) Favorite little hobby of the month… Arm knitting. I love knitting, though it does take quite a bit of time to create anything of substantial length. Especially with two little ones. That’s all for now… Tomorrow we are off to begin our little adventure with Adam’s new job. We are house hunting for the next several days! Hope all you lovely readers have a wonderful New Years! The past month has been filled with some house showings, the beginning of a new job for my husband, a stomach bug, and many joy-filled moments in between. Our little E is just so big. Every time I look at her. And isn’t that always how it is? You feel like you will never be past the late night feedings/dirty diapers and then I look at her sitting on the potty or hear her say FULL sentences and I am blown away. 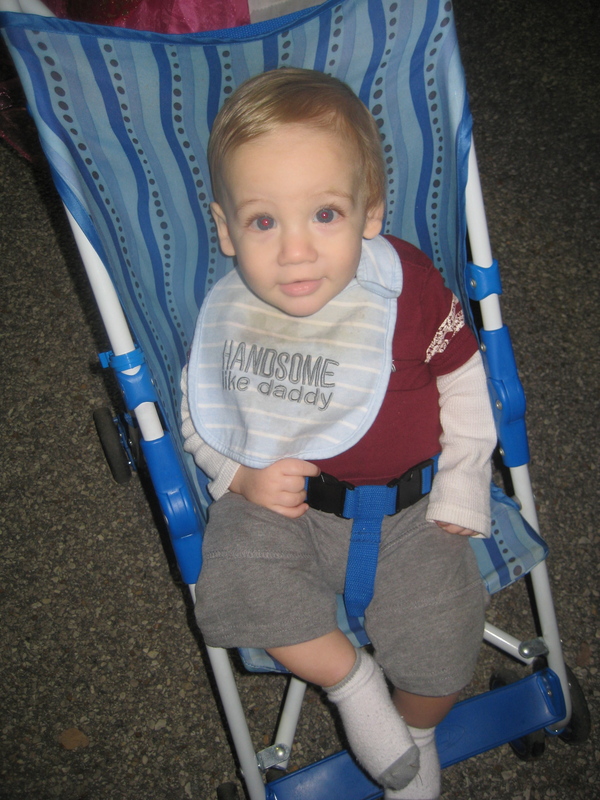 L is SO close to walking and seems to be doing new things every day…whether clapping his tiny little hands or eating a jelly sandwich. And I just think… when did this happen? I would like to say that things will be slowing down, but as we get ready to sell the house (it is currently under contract!) I know that will mean more to-do lists, packing, and preparations for this next season of life. In the midst of this, I am praying the Lord will give me a heart that rejoices and looks forward to all He has in store with these new changes. There are so many things I will miss about Alabama.. our church, friends, the local library, food (meat and 3’s, where have you been all my life?) and I absolutely love our pediatrician. But the Lord is sovereign and I’m thankful His plans are never based on what would be most comfortable for me…how many blessings I would have missed had that been the case! Honestly… I am one for adventures. Adam and I have had a very “filled” 3 years of marriage and now we will just be taking this next adventure with our two sweet little ones. I will try, even as things remain busy, to post a little more frequently! I hope each of you are enjoying your Decembers and even in these days of shopping/cooking/planning/wrapping that you are MOST joyful and MOST full of the thought of Christ. October really did fly by for us… I hope that you all had a wonderful month and are excited for the coming Thanksgiving/Christmas time. 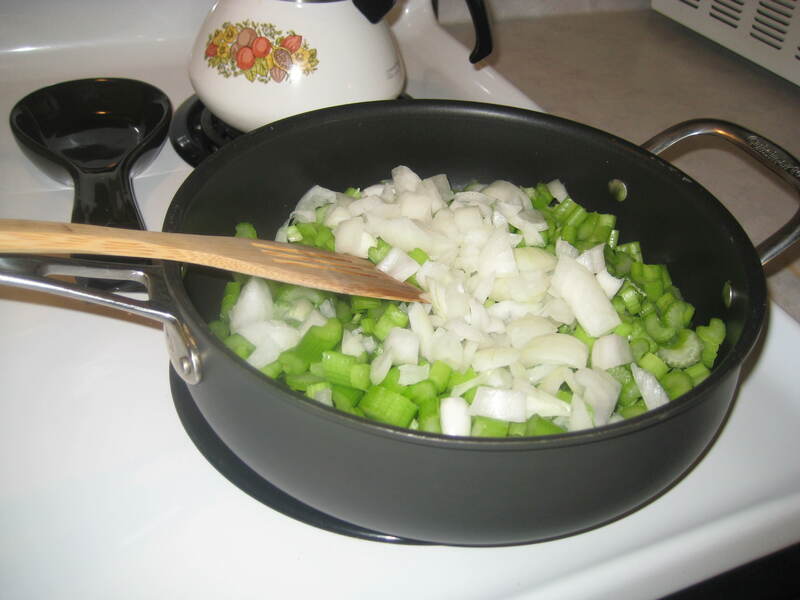 This particular recipe has been passed down 3 generations, starting with my Great Uncle Johnny. 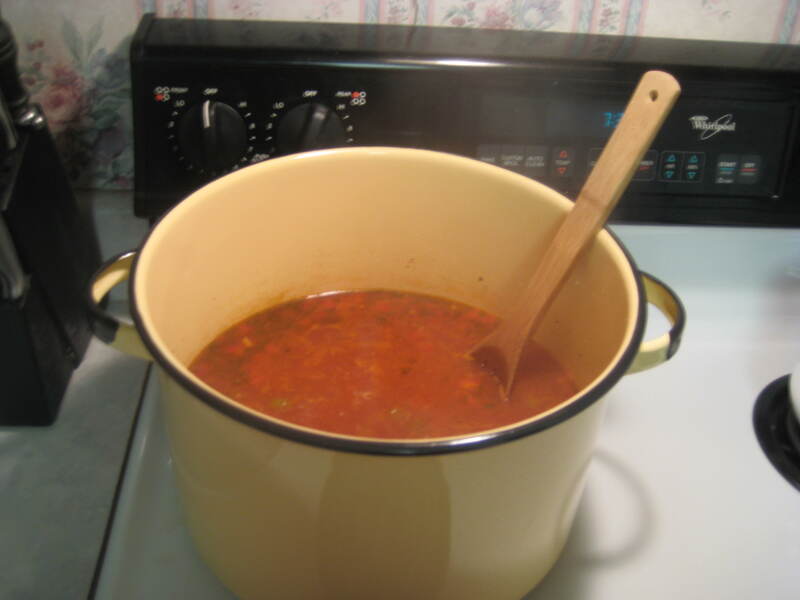 This is an absolute all-time favorite of ours and it is sure to bring some warmth during the upcoming wintery days! 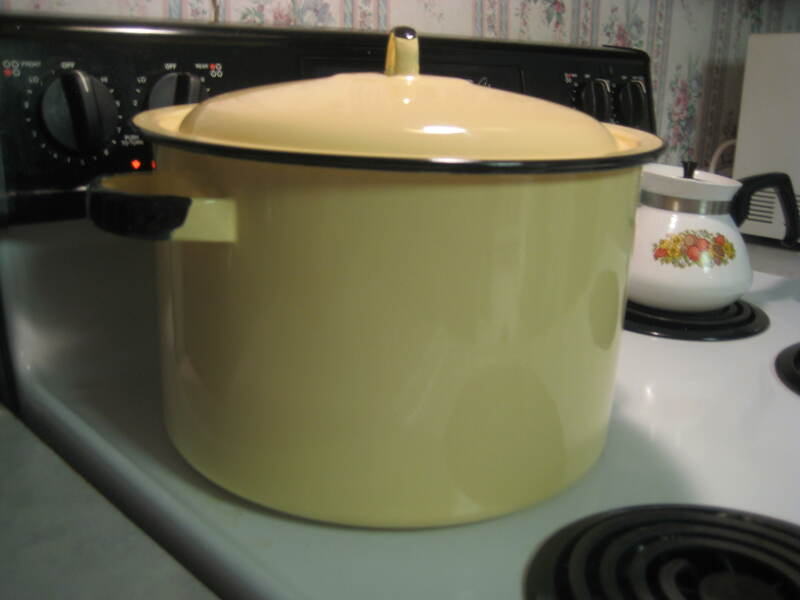 1) In large pot cook chicken in the 3 quarts of salted water (if frozen- about 30 minutes). 4) Return to broth and add sautéed veggies/other ingredients. Simmer for 1 hour. 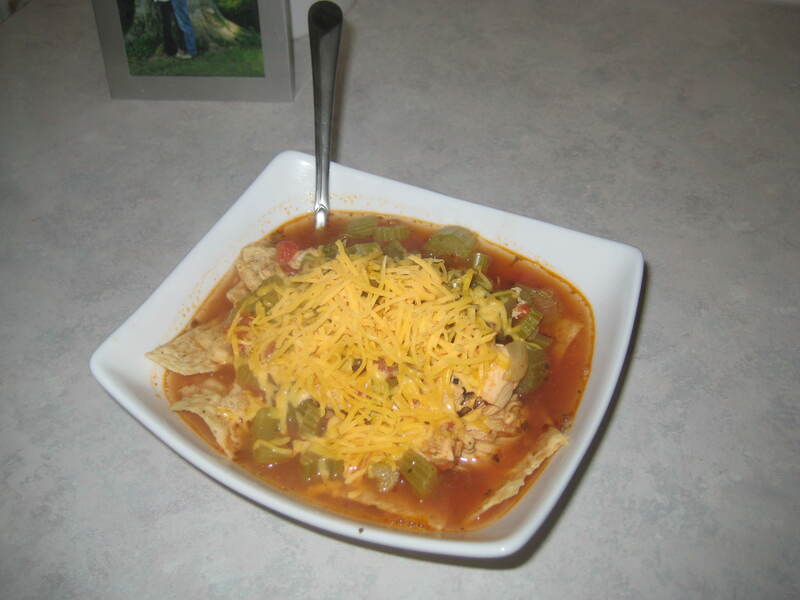 5) We always served this over of a bed of chips and topped with shredded cheese. 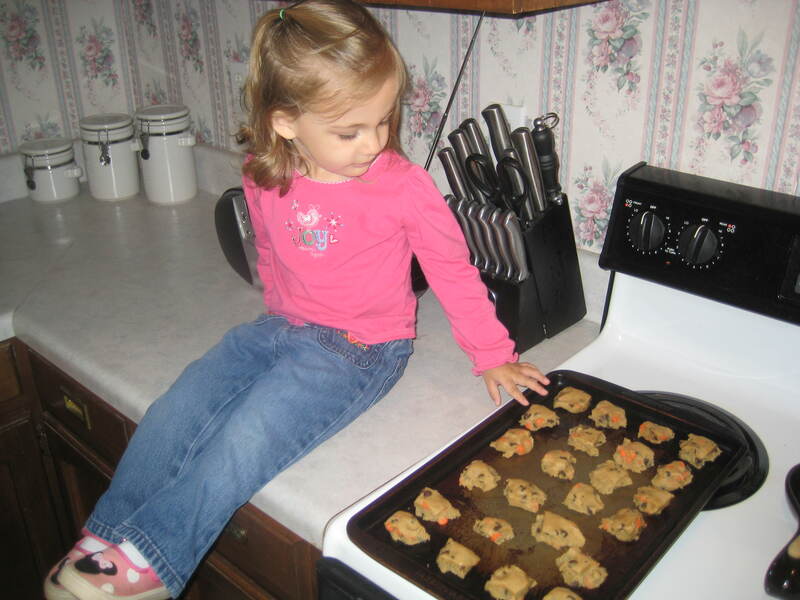 *Serves 8-10, but if you are feeding a smaller group it does freeze/re-heat well! My Dad recently mentioned this new movement in the housing industry. Many of you may have already heard of “Tiny Houses” and seen their fascinating architecture. This was brand new to me and it is truly an interest concept. But I am very willing to try this out when we are empty-nesters. 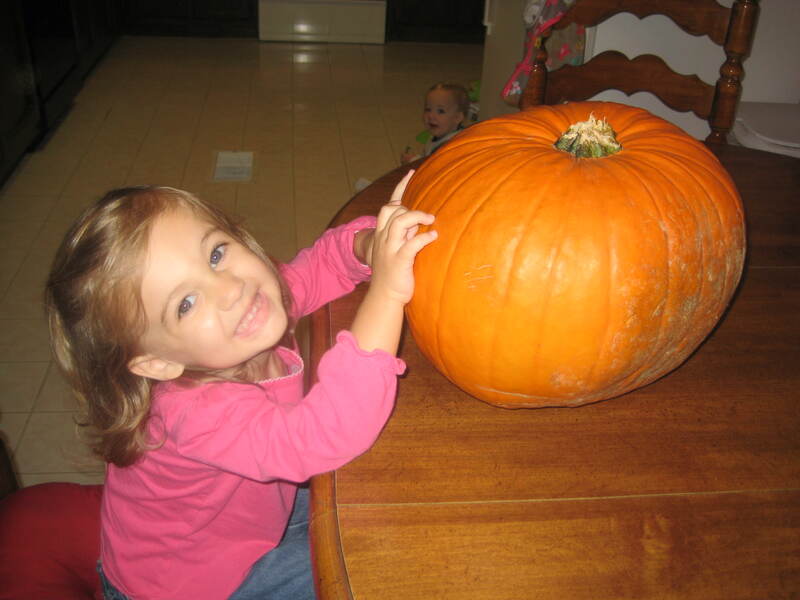 Thanks for stopping by :) Enter your email address here to follow my blog.